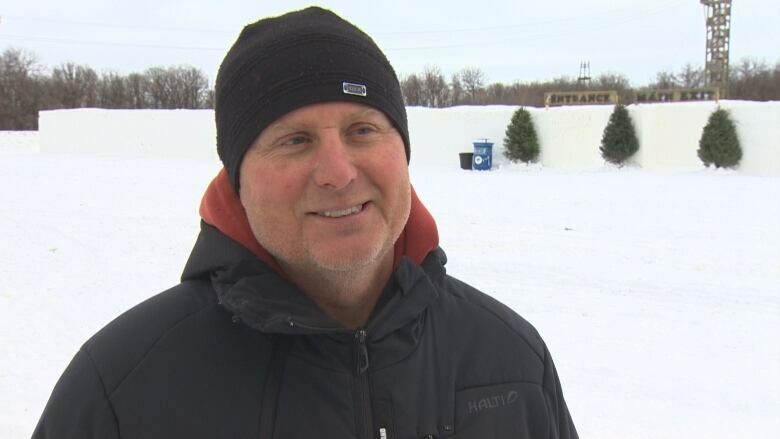 A massive snow maze just south of Winnipeg may be the biggest the world has ever seen. 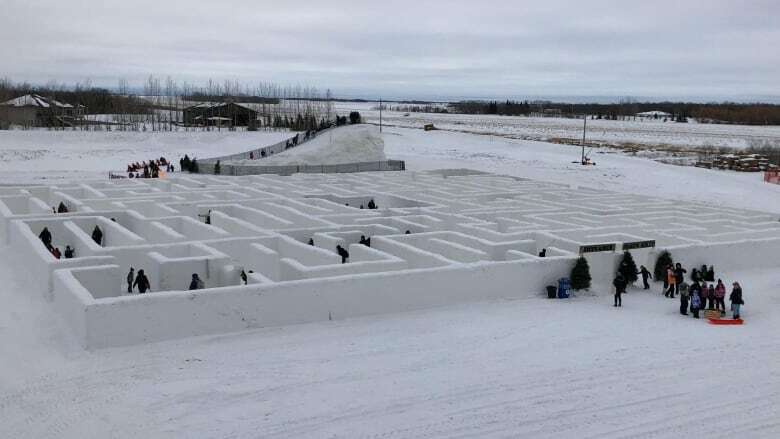 "It's been a huge excitement to build it," said Clint Masse, who owns A Maze in Corn with his family and spent the last three weeks with a crew of nine building the structure. And it's big — really big. Masse is hoping it's big enough to break the world record. But beyond admitting the maze covers just over 2,300 square metres, he remained coy about its exact dimensions. 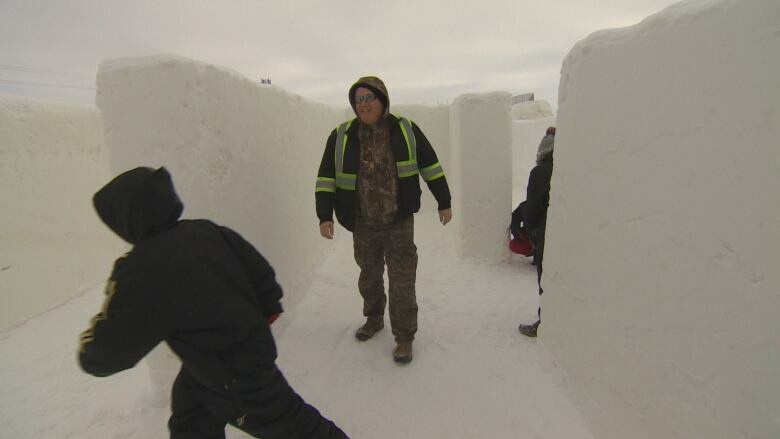 "We can't say the exact square-footage because we're trying to beat them," he said, referencing the current Guinness World Record holder, a maze built in Thunder Bay in 2015. Organizers are telling those heading into the maze that it will take about 45 minutes to an hour to get through, but Masse says it could be faster or slower for each individual. But with two-metre high walls, there is one thing he can guarantee. "At least the wind is down in there," he laughed. Cory Brooks was the first to complete the puzzle Saturday and it took him only about 20 minutes from start to finish. "It was great, had fun running around chasing the kids — hiding around corners and scaring them. I'm still trying to find my son. He's still running around," smiled Brooks after he made it out of the maze, crediting luck with how he got out so quickly. "Just chasing the kids and I found the right ways, I guess." Not everyone had such an easy time getting through snowy puzzle, but builders added emergency exits to make sure everyone can get out safely, if needed. There are also fire pits located throughout the maze to keep people warm while they look for the end, and several snow sculptures to keep those getting lost entertained — and give them a reference point to where they've already been. 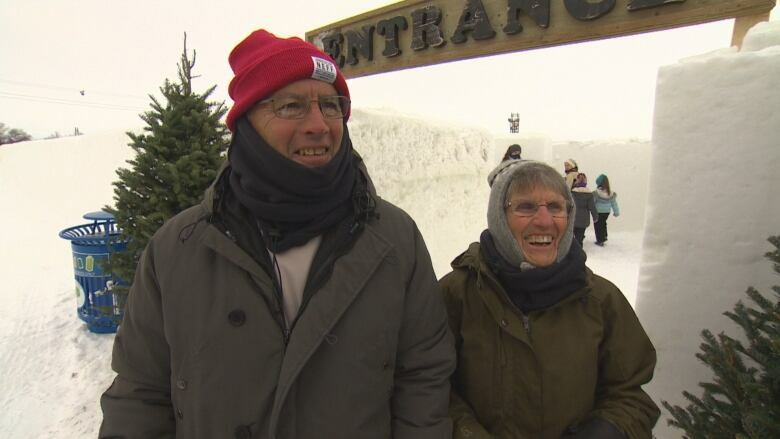 Tony Poulton and his wife, Barbara Poulton, made the trip to St. Adolphe to check out the maze Saturday while on vacation in Canada from Spain. The couple were not confident as they headed into the entrance of the maze. "I'm sure we'll get lost in there," laughed Barbara. "But I'm sure someone will find us if we're lost." The maze will be officially measured next month, and if successful, it will be added to the list of Guinness World Records.